Car and truck dealerships tend to spend a lot more money on advertising than any other retail location, but surprisingly, they can purchase promotional flags and banners online for a relatively small investment. While most dealerships own several different types of banners, from string-along patriotic flags to large-scale banners that are 10 feet tall, these flags can be used again and again throughout the year. 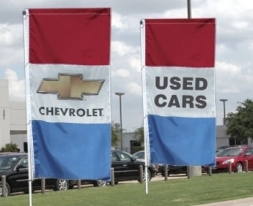 Some flags are printed with words like “Annual Inventory Reduction” or “No Money Down”, and others are simple color blocks that call attention to a new car lot. 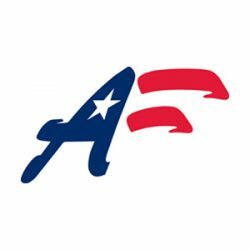 Another big item for car dealerships is the American flag. These are not just those 4” x 6” decorative flags that stick up out of the lawn; they are the largest flag poles in town, designed to hold the largest American flags. For foreign visitors to this country, it would be easy to mistake the average car dealership for a government office – that’s how huge some of their flags are – but dealers say they are just another tool designed to drive traffic in the door. Are you looking to generate more interest in your new or used car dealership? Promotional flags and banners are an excellent way to accomplish this, and they are surprisingly affordable. Find out how to order promotional flags and banners online by visiting the Advertising Flag Company’s web site at www.FlagPro.com.